The August issue of PCR is out now and available to be downloaded – for free – as a PDF file by following this link, or can alternatively be read online here. In this months ‘Back to School’ special, we examine the hardware and software that can aid the progress of students and school kids. 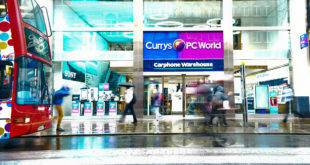 We also talk to the head of media relations at Dixons Retail, Mark Webb about his company’s recent results and revamp plans, and Intel’s UK and Ireland channel manager Christine Harrison tells us about the US giants new flexible approach to partnerships. In addition to this, we examine the effects that the recent budgetary changes might have on the IT retail market and we celebrate the TCA’s first anniversary.